The new generation 2.0 HDMI supports Ultra HD 3D TVs at 60 frames per second, Audio return channel and also has built in Ethernet support. Perfect for Gaming, TV, home Theaters and surround sound system devices. The Nylon Protection layer protects from abrasion. The braid is durable and adds protection for the wires inside the cable. 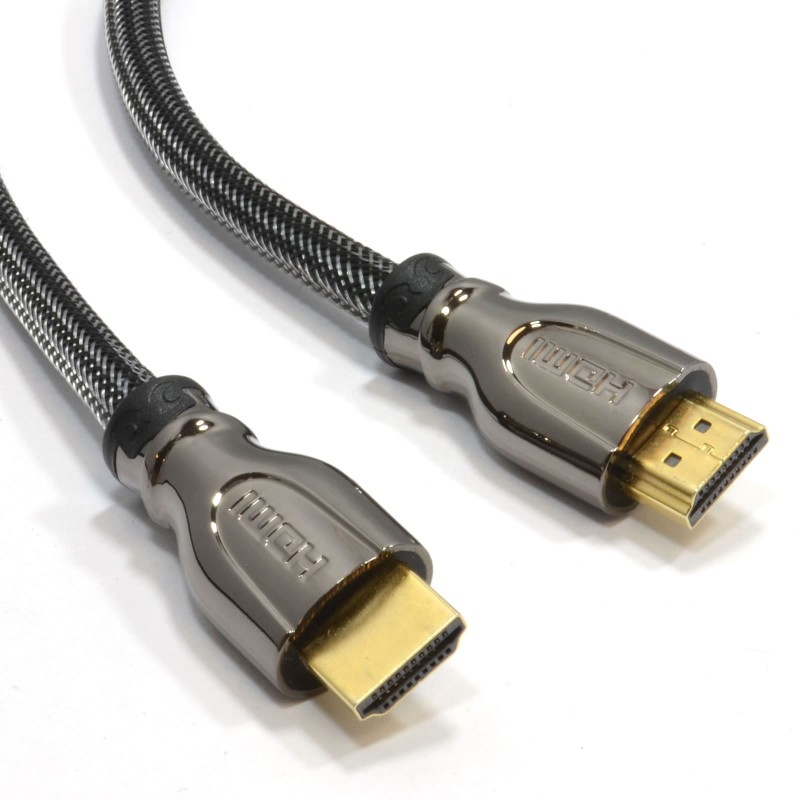 Backwardly compatible with older HDMI connections such as V1.4, v1.3 and 1.2. 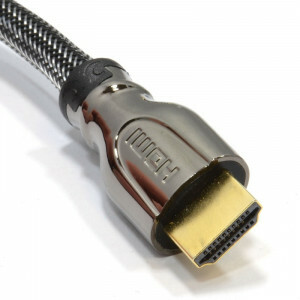 - HDMI Male (19+1pin) to HDMI Male (19+1pin) cables. The HDMI standard just got a lot more powerful, with new capabilities designed to push the boundaries of the HD experience - both in the home and on the go. - HDMI Ethernet Channel - Adds high-speed networking to an HDMI link, allowing users to take full advantage of their IP-enabled devices without a separate Ethernet cable. 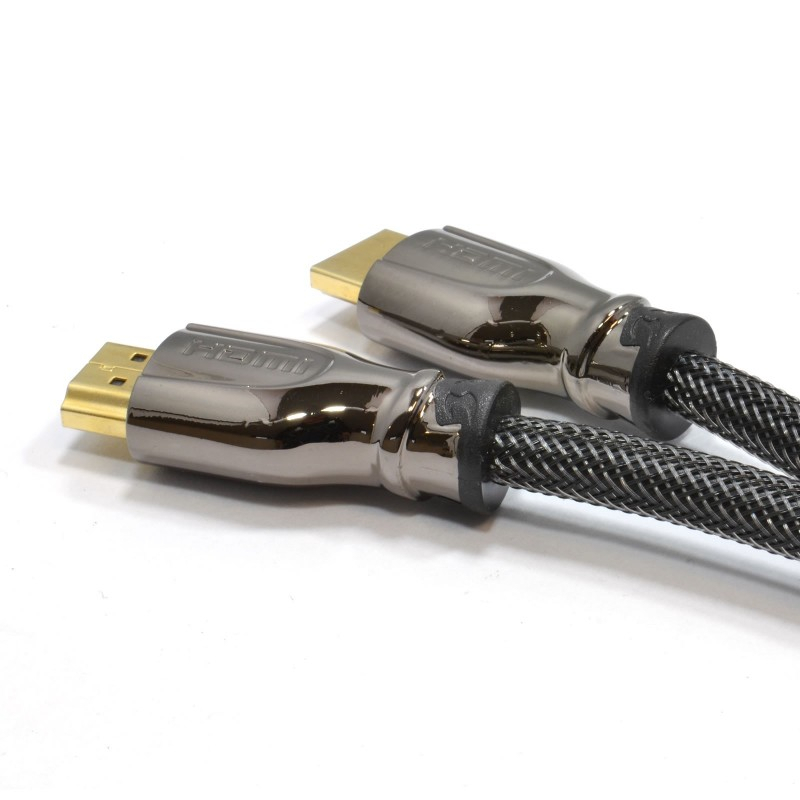 - Audio Return Channel - Allows an HDMI-connected TV with a built-in tuner to send audio data "upstream" to a surround audio system, eliminating the need for a separate audio cable. - 3D Over HDMI - Defines input/output protocols for major 3D video formats, paving the way for true 3D gaming and 3D home theatre applications. - 4K x 2K Video Support - Enables video resolutions far beyond 1080p, supporting next-generation displays that will rival the Digital Cinema systems used in many commercial movie theatres. - Additional Colour Spaces - Adds support for additional colour models used in digital photography and computer graphics. - Automotive Connection System - New cables and connectors for automotive video systems, designed to meet the unique demands of the motoring environment while delivering true HD quality.